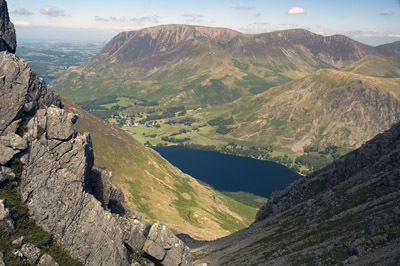 Following Cicerone's acquisition of the Lakeland Fellranger series came a request to prepare a special volume devoted to the whole National Park: a very personal collection of classic high fell rounds. 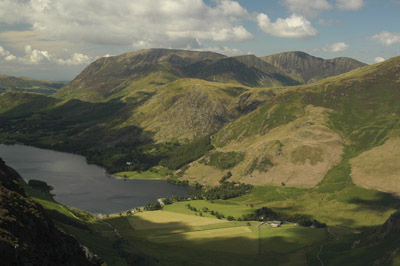 A superb opportunity to encapsulate the best of mountain Lakeland into one inspirational book. Great Mountain Days does precisely what it says on the cover, delivering fullsome days on the fells serving three grades of ability and ambition. Fifty mouth-watering walks that, given the weather, will entertain whether novice or competent hillgoer. The spread of walks means that, wherever you base yourself, there will be an accessible choice of really good fell expeditions on your doorstep. 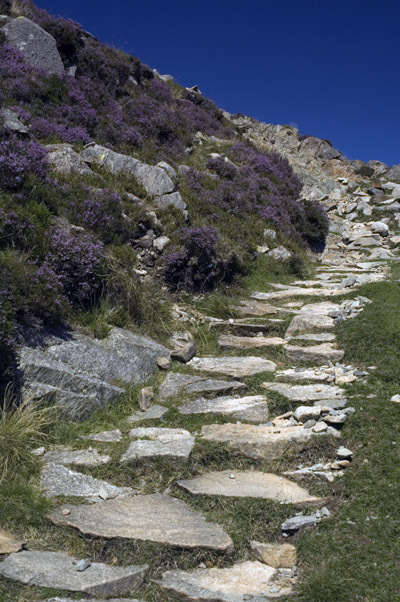 Great Mountain Days has placed a necessary stress on the importance of fell path restoration making them resilent for future generations of fellwalkers, and supports the work of the Fix the Fells project commiting payback sponsorship from sales. I always find when I explore any area, especially one as rich as The Lakes, that my horizons and understanding expand expedentially so by the end I am ready to start exploring it all over again, but in greater depth. The perfect springboard to resume the second half of my Lakeland Fellranger project. Illustrating this page are a small selection of views gathered during what proved to be my own Great Mountains Days - a similiar treat awaits you, but don't forget your camera! 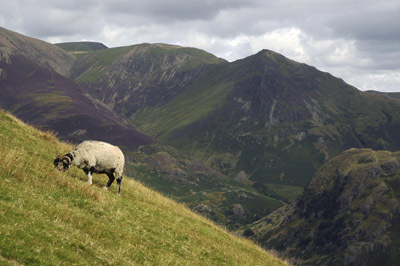 This is a well written and illustrated selective guide to walking in the English Lake District. It is well produced, with good quality of photographs and printing. The accurate maps from Harvey's are a significant strength-it's good to get the route description and the detailed map side by side. The route profiles are also helpful. The guide is a modern one taking advantage of the potential from modern digital maps. 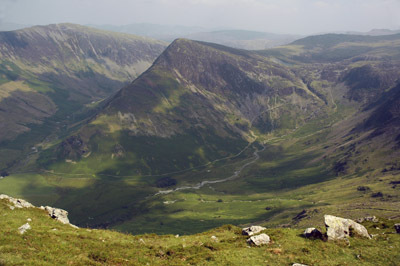 I have been walking the fells for about the last thirty years. I have enjoyed using earlier guide books such as Poucher, Wainwright and Bob Allen. Also the FRCC's guide. It's great to be able to welcome a new guide, that is well written, with a sensible selection of walks, and which adds to what has gone before by taking full advantage of modern production methods. The Fells remain...and this book will get you wanting to get out amongst them. I would recommend it as a good introduction for newcomers to Lakeland walking, and as a worthwhile addition to the library of experienced walkers. Not a book to take on the fells, as its quite large (and frankly too good to risk getting damaged) but very useful for planning a serious days walking in the Lakes from the comfort of your armchair. Whilst most of the walks and all of the fells are obviously covered in other books, clear instructions, good maps and excellent photographs still makes this worth buying as it is a very pleasant (and addictive) read. When do you think GMD for Snowdonia will be finished and publushed? I loved the Lake District version I taken with me on holiday there for the first time! Would love to do the same with the Snowdonia version for my first visit there also. 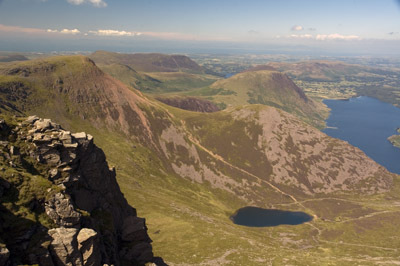 Great Mountain Days covers no less than 50 circular walks in Lakeland. 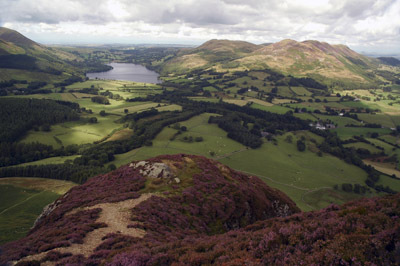 Every walk is graded, with details of the distance, height gained and expected journey time.¨All routes are described in detail, accompanied by fantastic photos along with "Wainwright" style sketches and Harvey route maps. 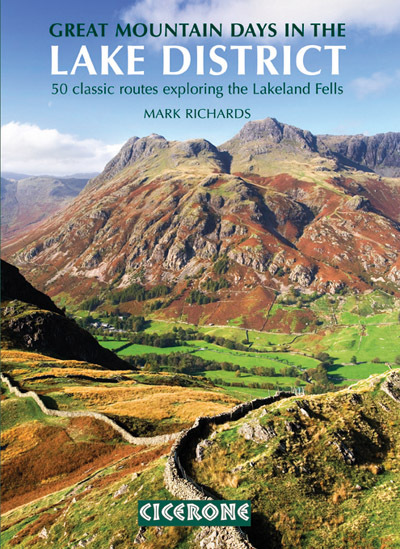 ¨Over the years I have collected many guide books on Lakeland, this is one of the best I've come across in a long time. Just returned from the Lakes where I did walks 3 and 42 from Great Mountain Days....Wanted to express my appreciation of two very well chosen, described and illustrated walks. The route to/from no 42 was very lightly populated, as opposed to doing it from Ambleside, I presume. We met several groups on the tops but for most of the way we had the route to ourselves. So thanks again for the recommendations. Will be back for more! For purchasing enquiries click on the CICERONE button at the top of this article.